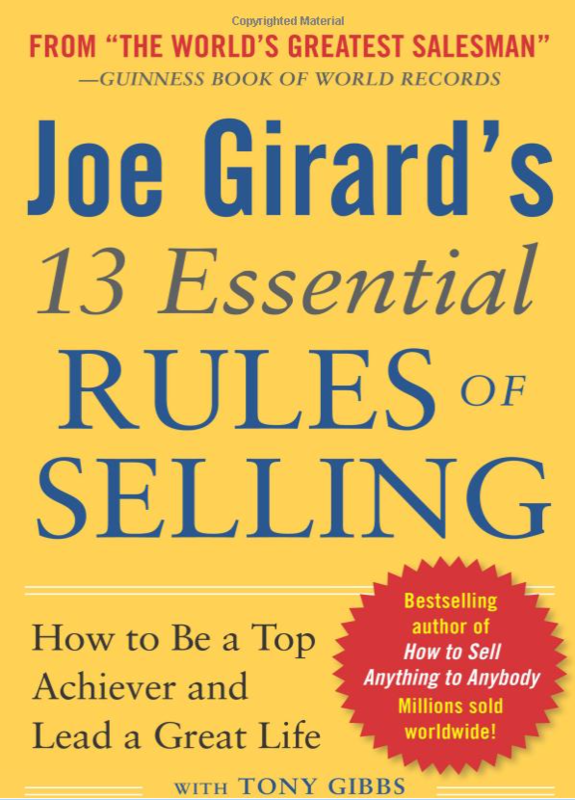 Simply be like Joe Girard who mastered the art of ‘how to appreciate your prospects and customers’! 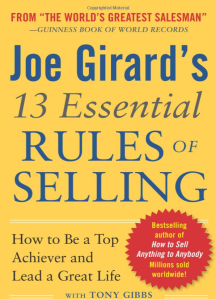 If you haven’t heard of him before, due to his success, Joe became The Guinness Book of World Records “World’s Greatest Retail Salesman” not for one but 12 consecutive years. He has written many best-selling books on the subject of sales, one of my favourites being “13 Essential Rules of Selling – How to Be a Top Achiever and Lead a Great Life”. Oh no not a salesman I hear you say to yourself! Joe wasn’t your average salesman though, which you will very much see if you read this or any other of his books. The one thing that comes across about Joe is the fact that he genuinely cared and appreciated everyone he met through his work which is something many salesman overlook. The principles in his books can, very much, be applied to any industry not just car sales. The key to his success was that he saw early on in his car sales career the long term benefit of appreciating every one of his contacts and built and maintained relationships with those people over time. Joe would send 13 greeting cards to all his prospects and clients every year. One every month and one for Christmas hand written by himself. By keeping in touch on a regular basis he ensured that when his contacts, or someone they knew, needed to buy a car he was always the first person they thought of. At the end of his selling career he found himself in the position where people would cue at his desk in order to purchase a car, a position many small business owners would love to be in. How did he do this I hear you ask? You will find that most, if not all, Relationship Marketing strategies are successful due to consistency over months/years, and what Joe did with his prospects and customers is a prime example as to how keeping in touch can pay dividends for your business. Every business needs this type of strategy in place. This is what I really enjoy about my business, helping small business owners set-up this type of campaign and hear their reports of the benefits they see to their business when prospects and customers start contacting them instead of it being the other way round. If you would like any help please get in touch for a free consultation, when I will do all I can to help. Are you in the habit of keeping in touch with your prospects and clients through Relationship Marketing? 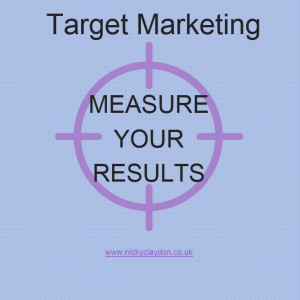 Are you aware of this marketing strategy? People like to know you have thought of them without trying to sell them something! This is the key to Relationship Marketing. MOST people in sales don’t follow-up after their first call! Is this you? If so you are losing business by not keeping in touch! NO NOW DOESN’T MEAN NO NEVER! Keep in touch until your prospects are ready to buy. A 5% increase in customer retention can increase profitability by 75%. Do you check your customers are happy? Only 10% of sales people make contact more than 3 times, but 80% of sales are made on the 5th-12th contact! A simple note card with a heartfelt message and no other agenda can help you be remembered so that your existing customers will buy from you again. Price is not the main reason prospects are put off. It is usually due to the overall poor quality of their buying experience. 96% of unhappy customers don’t complain. However 91% of those unhappy customers will simply leave and buy elsewhere. By building thank-you note sending into your business it will, without doubt, enhance your ability to get qualified referrals or quality introductions. A 5% reduction in customer defection rate can increase profits by 5-95%. The main reason your customers leave you is through perceived indifference and feeling taken for granted. If you never keep in touch with your customers after the first sale how are they expected to know you are still in business? You need to stop selling your products and services to people and start authentically promoting what you have to offer. Customers who feel appreciated make more referrals which costs you nothing in advertising costs. You never know when your prospects will be ready to make a buying decision, so make sure you keep in regular contact for when the time is right. You need to offer the best solution or how your product/service can fill a need rather than focusing on just the sale. The likelihood of selling to an existing customer is 60-70%. The likelihood of selling to a new customer is 5-20%. 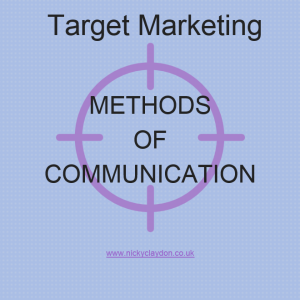 You shouldn’t turn the sending of a Christmas or Birthday card into a marketing message. 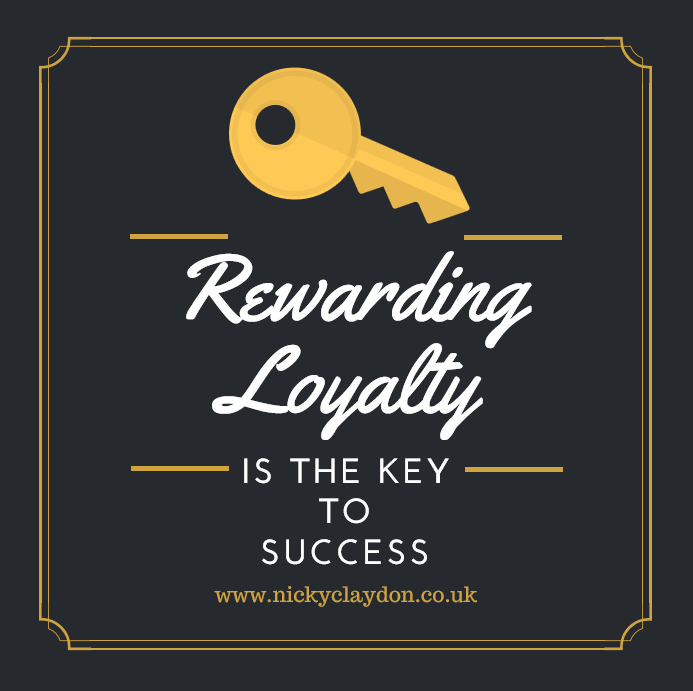 Keep in touch without any other agenda & you’re much more likely to secure repeat business & referrals. 82% of satisfied customers WILL COME BACK, 91% OF UNSATISFIED CUSTOMERS WILL NEVER BE BACK! Relationship Marketing imperative in your business. It helps to build lifelong, lasting customer relationships which will keep them coming back again and again. 80% of your communication should be based on friendship/celebration. 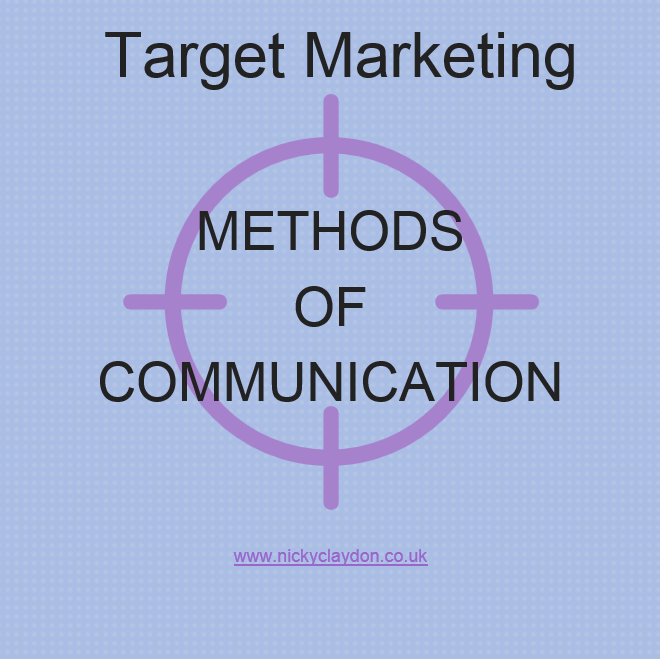 Marketing messages should form 20% and come second. Attracting a new customer can cost as much as 15 times more than retaining an existing customer. 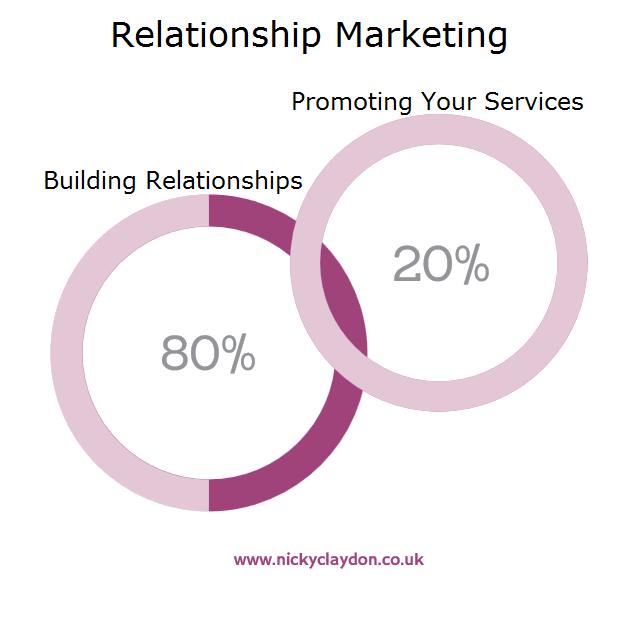 20% of your customers bring you 80% of your revenue. Do you ensure your VIPs are well looked after? It is a known fact that it is easier to obtain repeat business/referrals from existing customers. Are you always look for new ones? Why? If you select one customer each day to send one unexpected personal note your business will be transformed in a year! Customers who become your ‘raving fans’ can provide you with as much as 80% more referrals. For every month that your customers & prospects do not hear from you, you lose 10% of your influence over their buying decisions & referrals of new customers. 79% of leads are NEVER followed up! IS THIS YOU? You need to have a simple, convenient system in place to keep in contact with your business connections on a regular basis. Creating a good system, either manual or automated, to keep in touch with your customers is the KEY TO HAPPY CUSTOMERS. If you haven’t got one, why not? 48% of sales people never follow up with a prospect. Are you guilty of this? It’s all in the close! Do you thank your new customer for their business & ask them on a scale of 1 – 10 how often they’d like to hear from you? 80% of sales are made on the 5th to 12th contact? How often do you contact a prospect before giving-up? You need to set time aside to follow-up each day. Is it something you are always putting-off until tomorrow? Then you are losing valuable sales in the process. There are 5 Common Follow-Up Mistakes: No follow-up, weak or irrelevant follow-up, going straight in with a sales pitch and having no system to track follow-up. How many of these mistakes are you making? You can increase word of mouth referrals for your business simply by making a habit of sending personal notes to your customers. 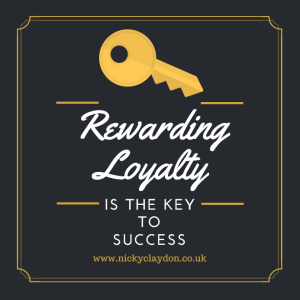 If you focus on getting referrals rather than hunt for new business the friends, family and associates of your current customers will enable you to have business come back to you PRE-SOLD! Sending cards is one of the most powerful sales tools today. In this ever increasing technological age, that is getting so impersonal, handwritten notes are worth their ‘weight in gold’. Has this list made you think about your current Relationship Marketing Strategy? How’s your current strategy working for you? 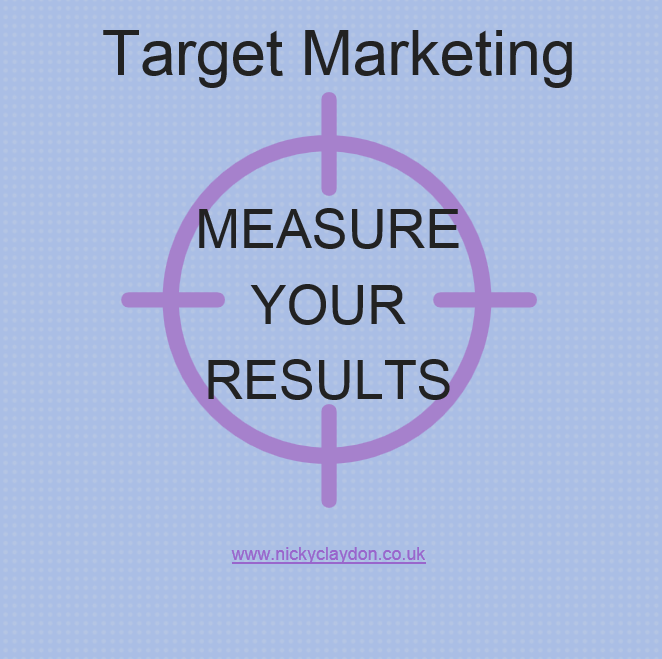 Is it time to have a major overhaul in the way you are treating your prospects/clients? If you could do with a helping hand grab my FREE e-book and join the 30 Day Relationship Marketing Challenge. It won’t cost you a penny!